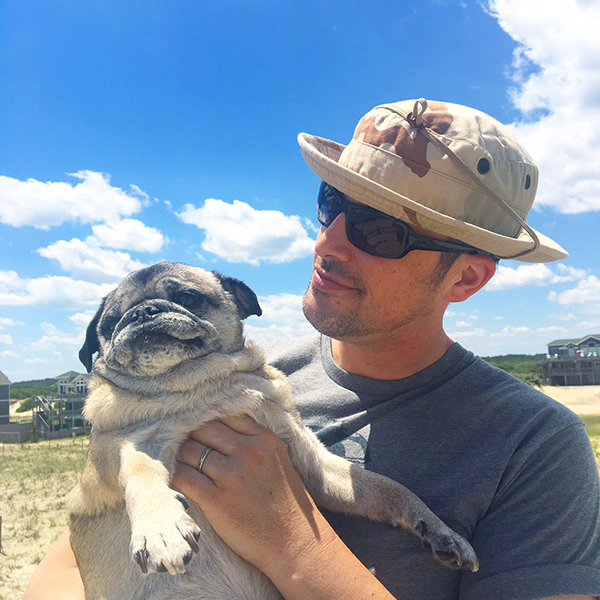 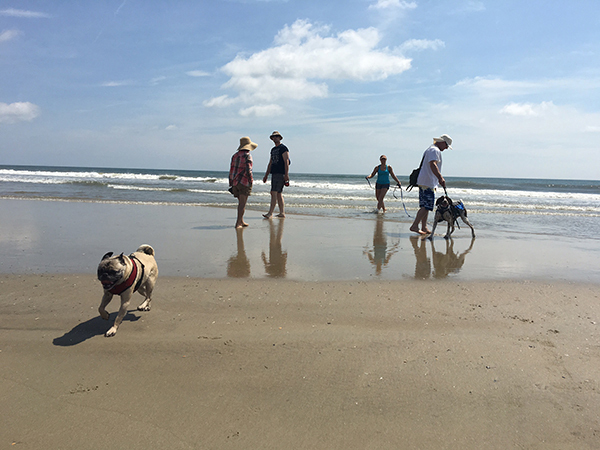 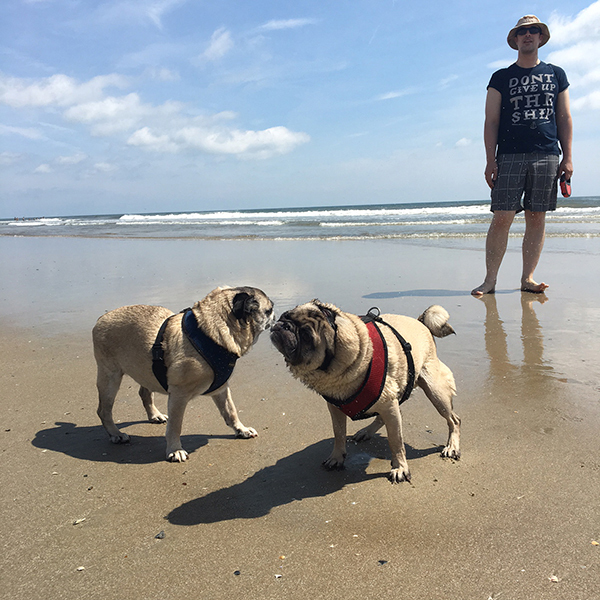 It's not just a vacation for us... it's a vacation for the pugs too. 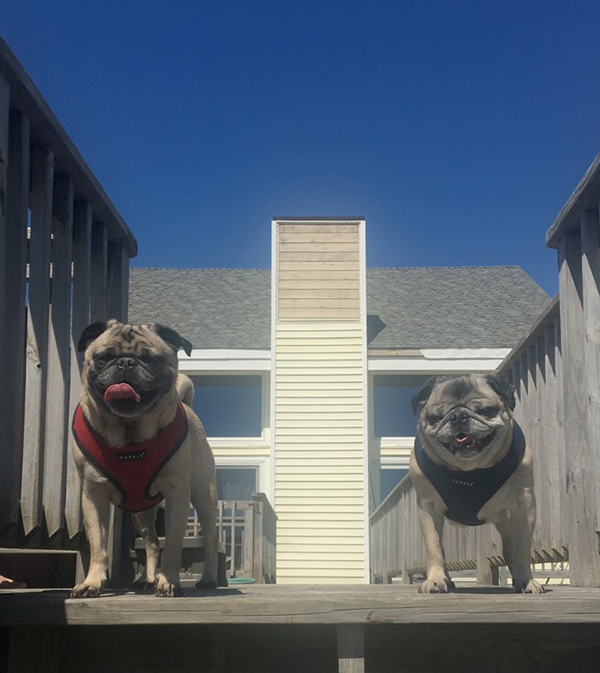 They get to go for walks and get special treats. 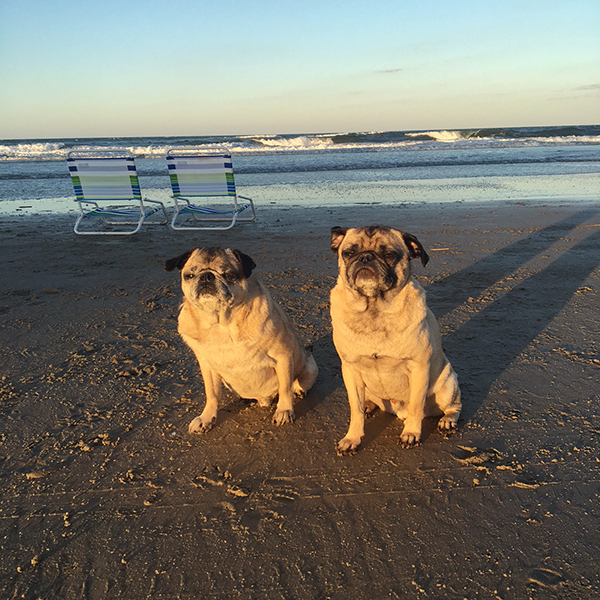 They do enjoy the beach! 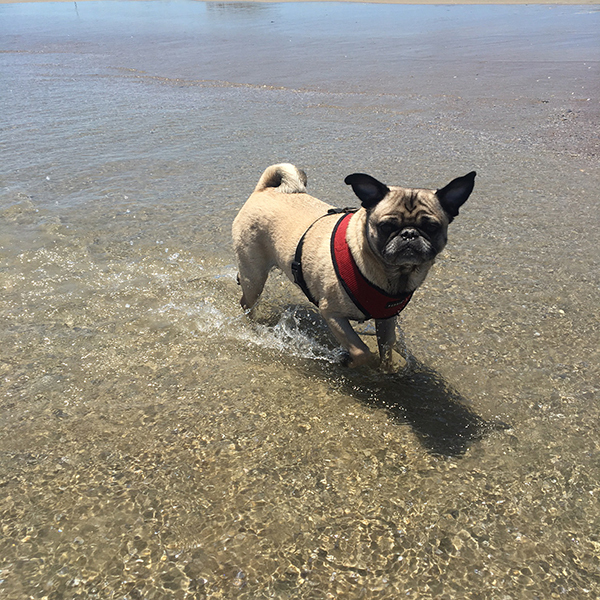 Some like getting wet better than others. 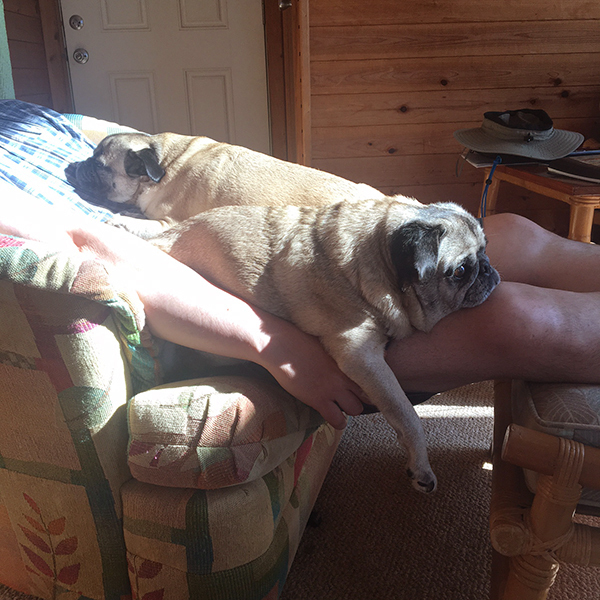 Some get grumpy about it. 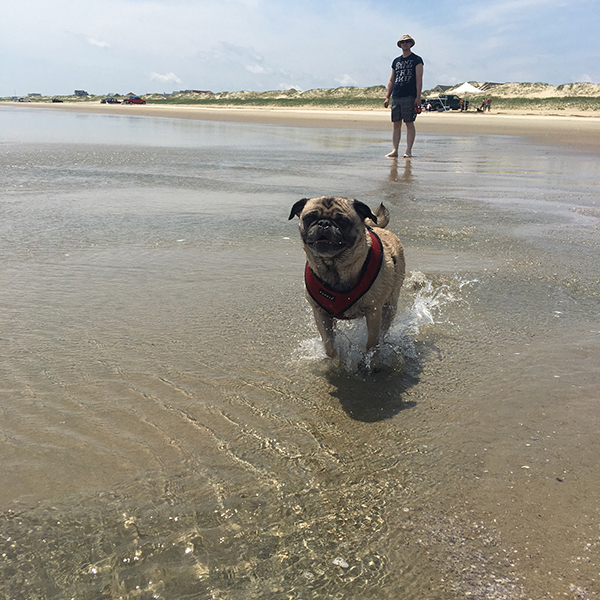 Take me back to the beach house hooman. 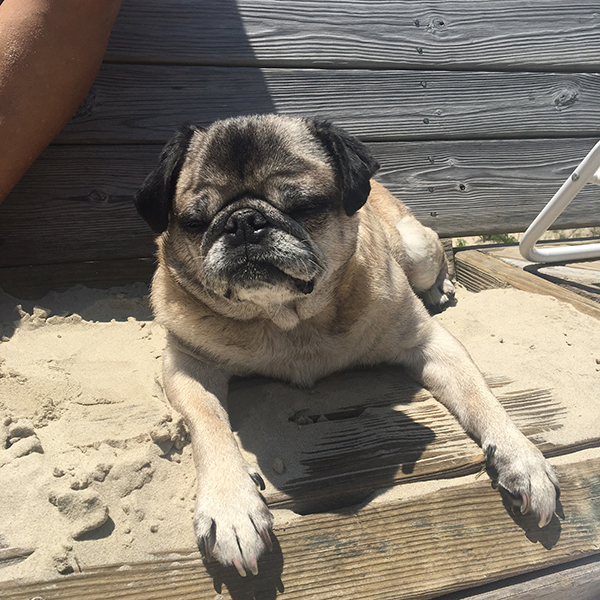 I've had too much sun. 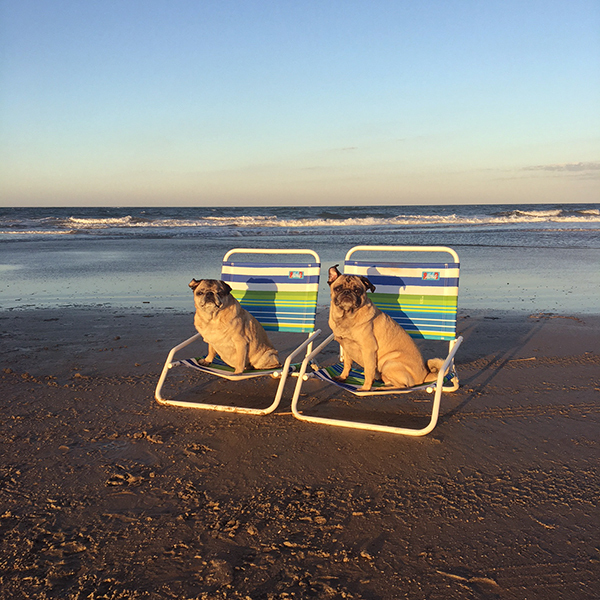 So glad the pugs are able to relax and take a break from their hectic, work filled days!